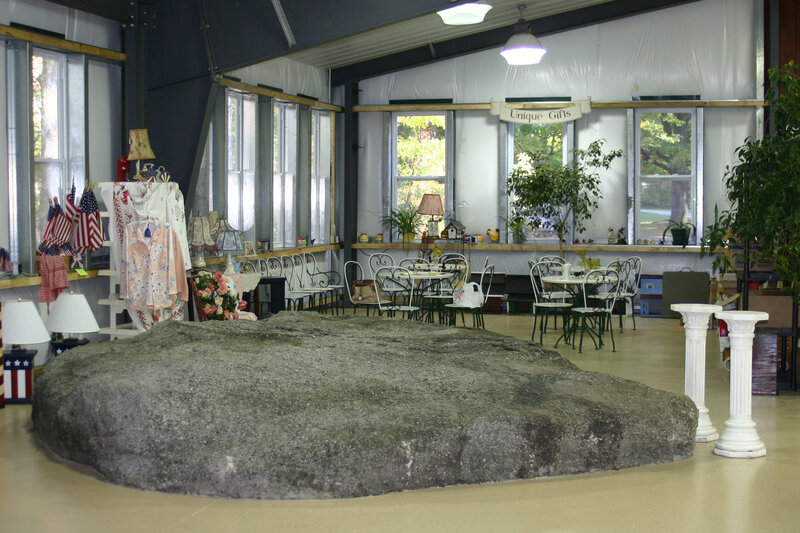 Hours May 1 through October 31: daily - 9 am to 6 pm. 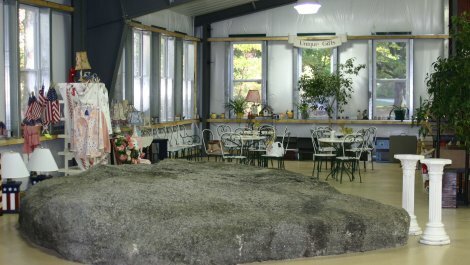 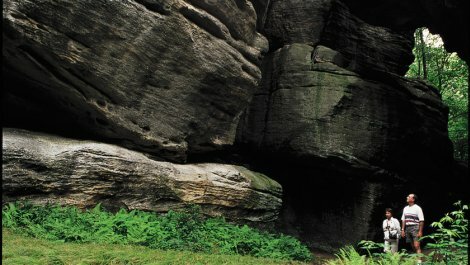 Prehistoric ocean floor consisting of gigantic boulders several stories high with huge crevices, sometimes referred to as "streets." 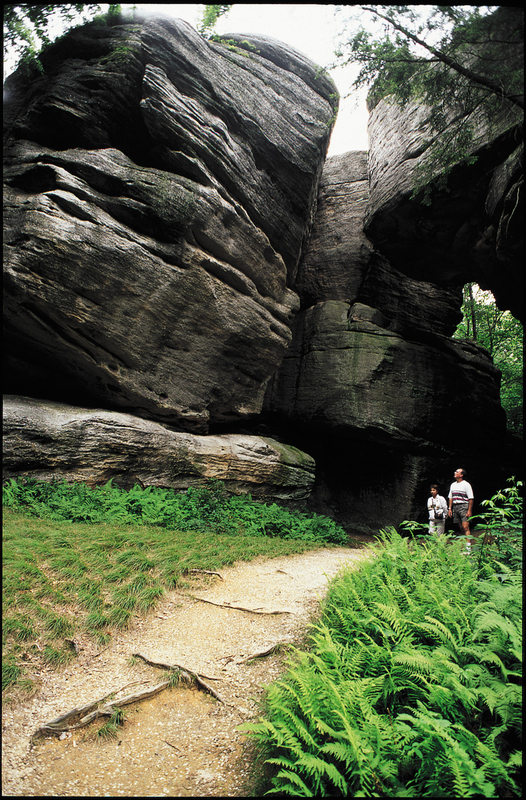 From Signal Rock, once used as a signaling point by Indians, visitors enjoy the 1,000-square-mile panoramic view of the Enchanted Mountains. 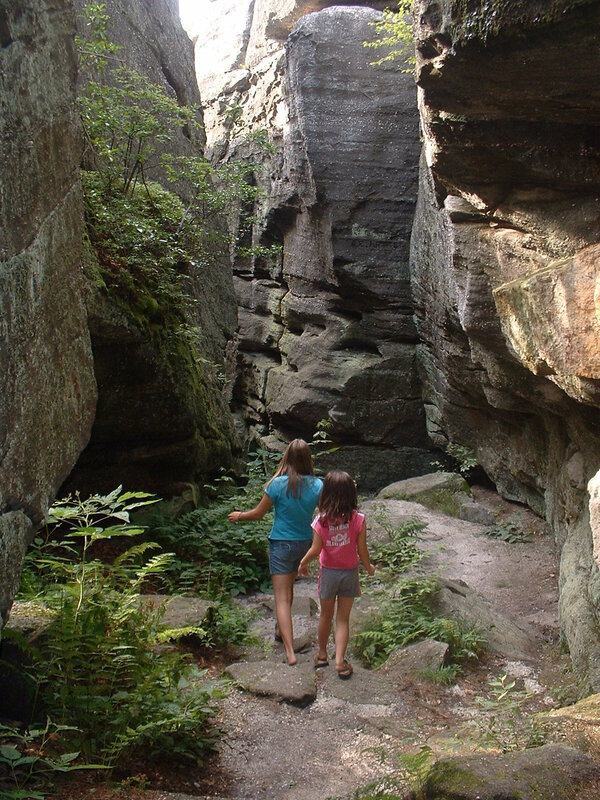 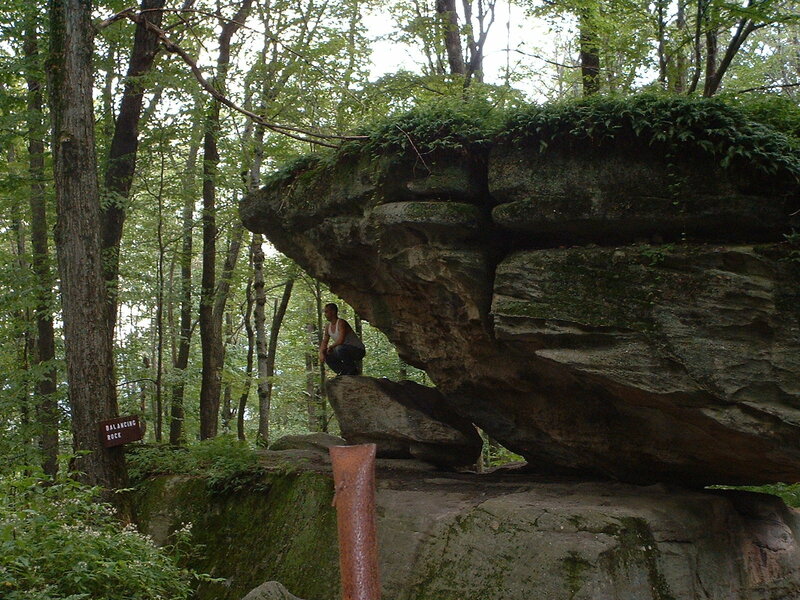 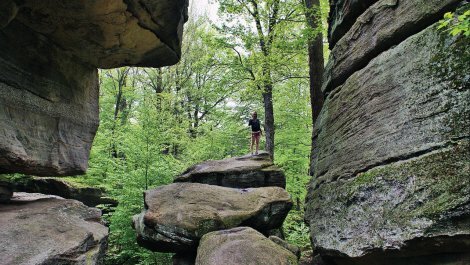 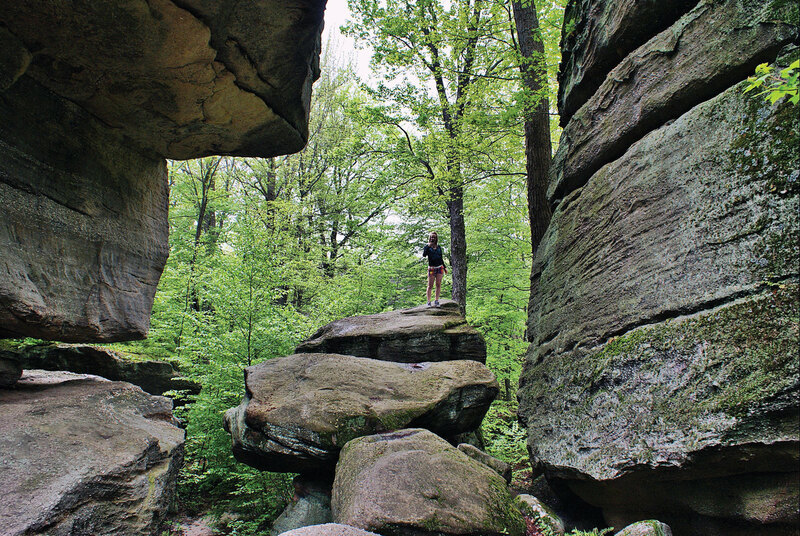 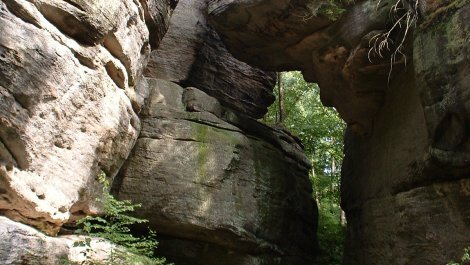 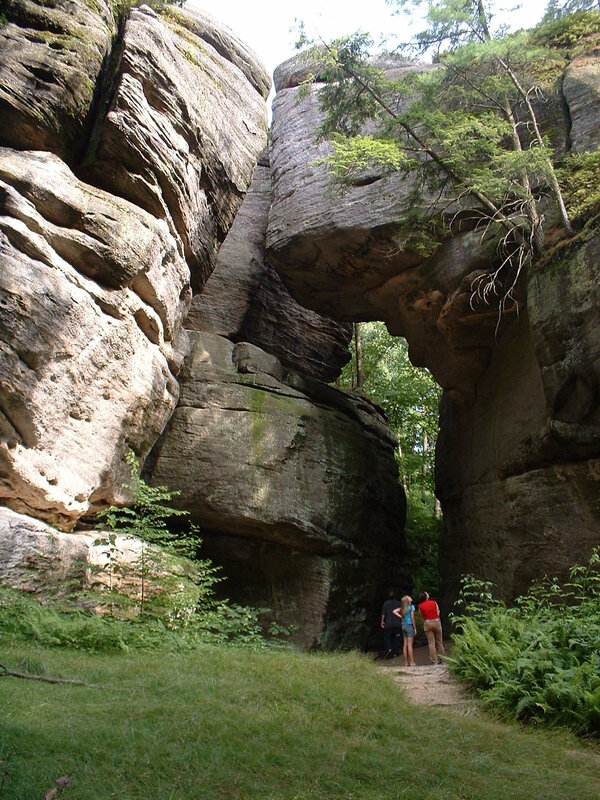 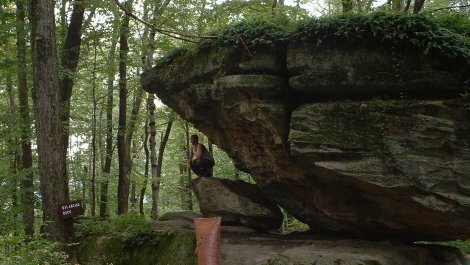 Three Sisters, Balancing Rock (a 1,000 ton boulder) and Indian Face rock are just some of the natural rock formations found along Rock City`s scenic trails, including a three-quarter-mile nature trail. 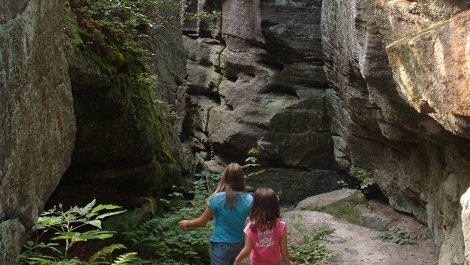 Sites Dates Hours: May 1 through October 31: daily - 9 am to 6 pm.